Keep your CDs tidy with this compact counter top storage for up to 44 CDs. Available in a choice of 12 colours it is constructed from 18/19mm, high quality melamine-faced particleboard with PVC edges all round. This unit has 3 tiers and measures 580mm high with a diameter base of 390mm. 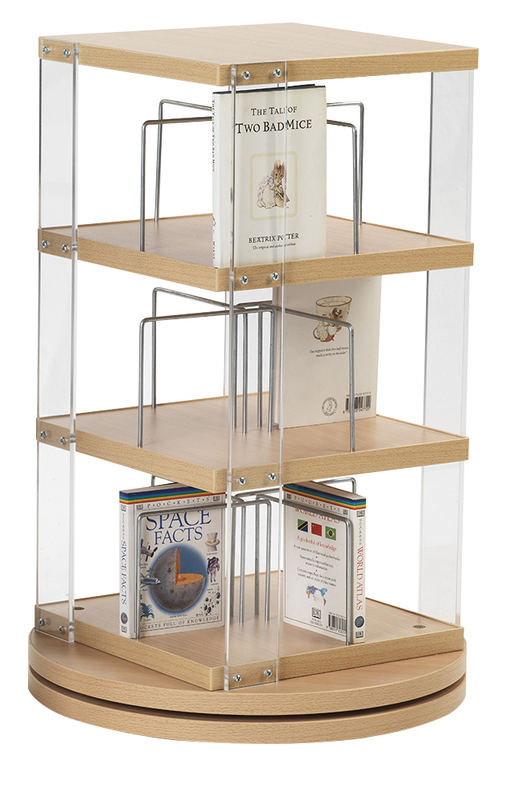 Delivered fully assembled this storage unit is great for schools and school libraries.